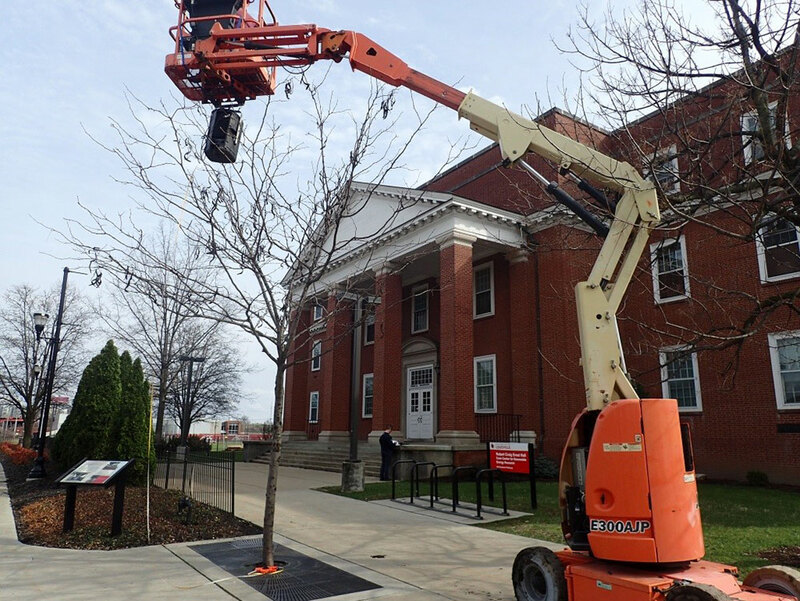 The Louisville Regional Airport Authority is undertaking a sound insulation program at the University of Louisville Belknap campus adjacent to Louisville International Airport (SDF) in Louisville, Kentucky. The Program is one of the FAA-approved noise mitigation measures included in the Airport’s Part 150 Noise Compatibility Program. HMMH is providing acoustical testing, design and consulting services for the Program. 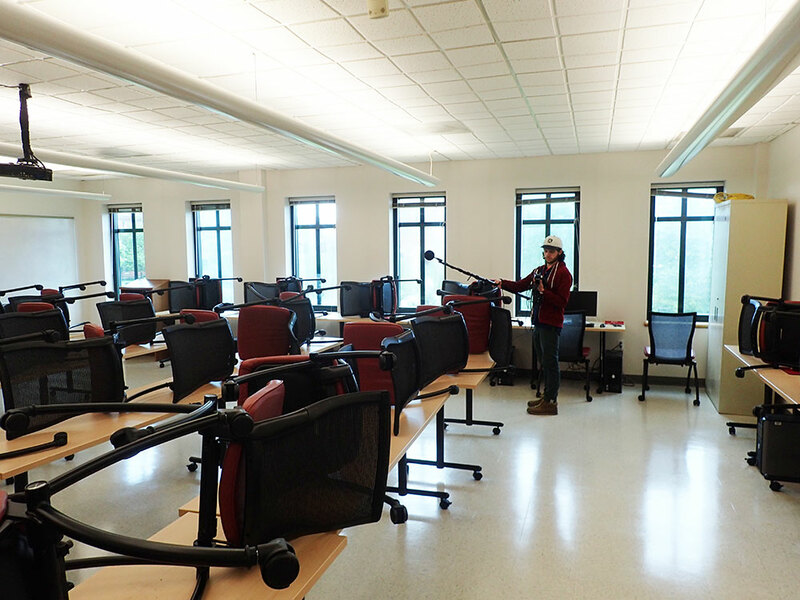 Pre-construction acoustical testing was conducted during 2016 to evaluate program eligibility for several University educational buildings, residential dormitories, and places of worship in accordance with FAA Order 5100.38D Airport Improvement Program (AIP) Handbook. The project required careful planning and coordination with University officials to schedule and conduct the testing with minimum interruption to students and campus activities. Sound insulation treatment design for eligible spaces was completed in 2017. Once the acoustical treatments are installed, HMMH will conduct post-construction measurements to provide quality assurance that the Program is meeting FAA requirements.